Posted on November 10, 2015	by Blowhard, Esq. 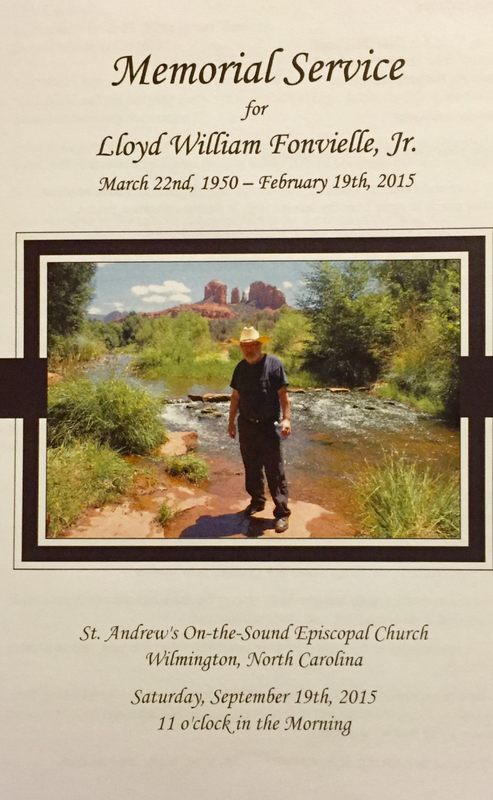 Head over to Lloyd’s blog for the program from his memorial service, some beautiful remarks by his friend the Reverend Paul Zahl, and a recording of “Dark Harbor,” a song Lloyd co-wrote. This entry was posted in Uncategorized and tagged Lloyd Fonvielle. Bookmark the permalink.